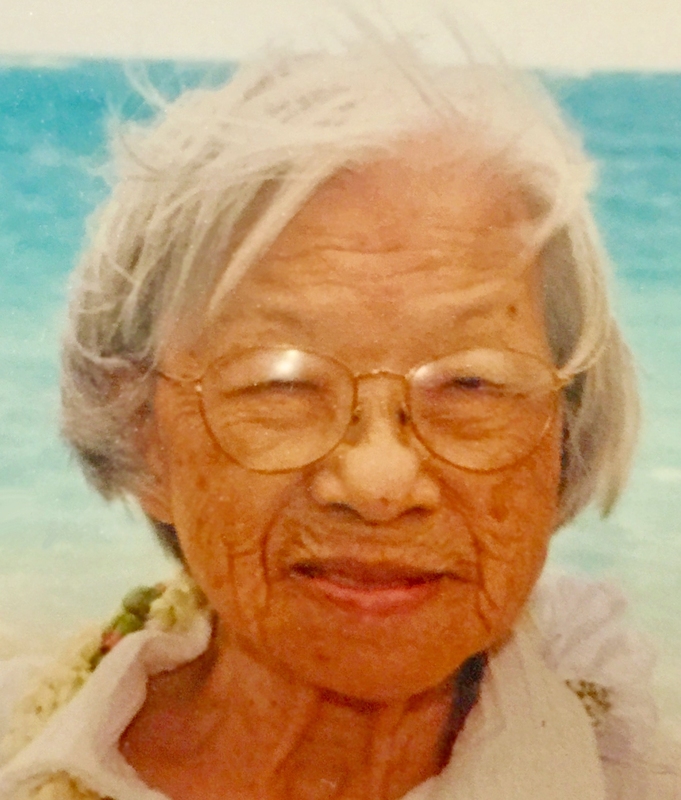 September 25, 1918 October 26, 2018 Annie Y. Kim, of Honolulu, passed away on October 26, 2018, a month and a day after her 100th birthday. She was born in Hanalei, Kauai and raised in Wahiawa, Oahu. Annie and her husband Harry O. "Bunker" Kim worked on Okinawa and in Washington D.C., traveling when they could to Asia and Europe and across the U.S., before retiring in Honolulu. They raised a family and cared for each other all their lives. They were a love story. Annie also loved a round of golf with Bunker, a murder mystery, a crossword, and a sizzling steak. She was practical and positive. She believed that life was for the living, one should focus on the present, and nothing is gained by negativity. She believed in family and always helped when she could. She was loved and will be missed. Accompanying Annie on her last voyage was an affirming experience, during which her family was privileged to meet some good people. We are grateful to Jorge for his friendship and help with Annie; Leticia and her family for caring for Annie at Bala ARCH for six years; Dr. Camara, Annie's Kaiser primary physician, for her warmth and concern; Dr. Kratzske, who sang "I Whistle a Happy Tune" with us for Annie at Moanalua; Flo for her calming assurance; Yu Lin, Marie, Eden, and Toni at Palolo Chinese Home for their gentle loving care; and Sheila from Bristol Hospice for accompanying us on the last song. Annie is survived by her sister Helen Griffin; three children Penelope Lawhn (and James Lawhn), Dr. Winona Blackburn (and Dr. Paul Blackburn), and Dr. Nolan Kim (and Dr. Thuy Lam); four grandchildrenJames Wayne Lawhn (and Tammy Lawhn), Jana Lawhn, Sylvia Richins (and Eric Richins), and Alison Roberts (and Dave Roberts); ten great-grandchildrenNatalie Lawhn, Ashley Lawhn, Jimmy Lawhn, Joshua Kay, Nanea Kay, Katy Richins, Lauren Richins, Ruby Roberts, Marina Roberts, and Annie Roberts; and two great-great-granddaughters, Anya Wehlan and Alira Helena Hill. The service will be at Mililani Memorial Park, 20 S. Kukui Street, at 5 PM, Saturday, 11/17/18. Aloha attire and dinner afterward.